Adam Equipment, a major manufacturer of digital weighing scales for professionals from around the world, has extended its range of moisture analysers. The new PMB moisture analyser will be available in the United Kingdom, Europe, Latin America, North America, Australia and Southeast Asia. 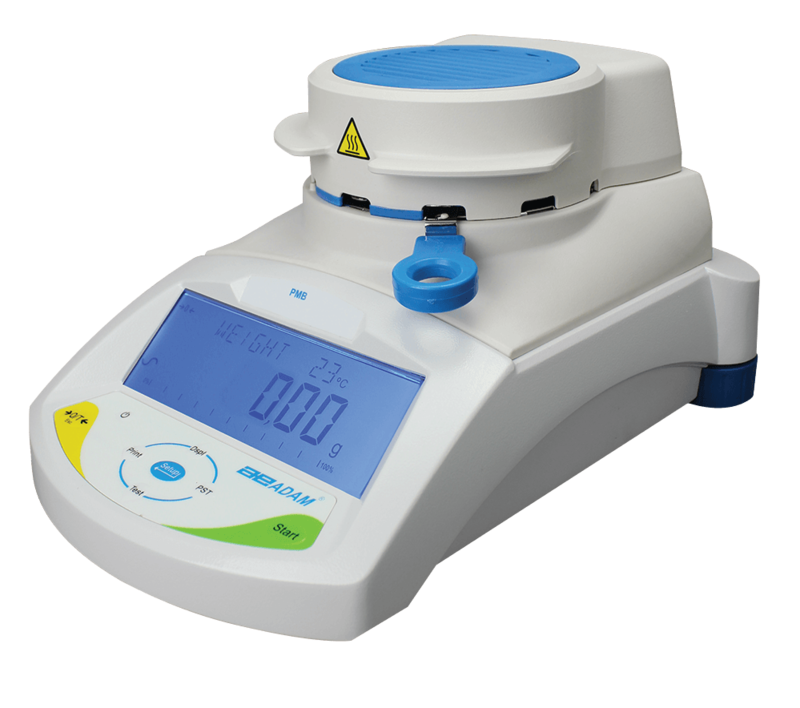 With its easy operation and quick response time, Adam Equipment's PMB comes in several models including the PMB 163 with a capacity of 160g and a reading of 0.01% / 0.001g; the PMB 53 model with a capacity of 50g and provides results of 0.01% / 0.001g, and PMB 202 which has a capacity of 200g and provides results of 0.05% / 0.01g. Moisture analysers allow scientists and technicians to dry samples quickly, saving time to test in the laboratory and in the field. The dryers are used in various sectors and are excellent for use in food processing and quality control, providing an easy way to check the moisture in the food and help production workers to evaluate the content of mixtures and lots. In winemaking, moisture analysis helps producers to maximize their harvest of grapes by providing crucial information about the repression of the grapes. Parameter settings of automatic test functions provide an easy reminder for frequent tests of the same objects without the requirement of additional programming by the user. USB and RS-232 interfaces provide fast connectivity, while a second USB port allows recording of programmes, of tests, and data on a USB key. PMB moisture analysers are self-sufficient; they have need of additional software or connect to a network for the readings. Users can collect data in production where no matter where electricity is available. A 400 Watt halogen bulb heats up samples in selectable increments of 1°C. There are three heating options to the test methods, and temperatures to be customized for different materials. The PMB offers a metal case strong, automatic external calibration, a tracker of capacity and a level bubble. A door-cup is included to easily remove samples. With a fast response time and intuitive functions, the PMB Moisture Analyser is ideal for various applications.